Teresia comes from a family of five. Her mother was divorced and when they went to the maternal grandmother’s home, the family, including aunts and uncles, opposed them. They did not want her mother and family to stay. Teresia then went to live with a step grandmother who had a shamba and that is how she provided for Teresia who helped on the shamba. Teresa completed primary school. Her step grandmother heard about New Dawn Secondary School and brought Teresia to the school for her interview. If she had not been accepted at New Dawn, she would have tried to find a job instead. Teresia came to know Jesus as Savior during the time she lived with her step grandmother. This grandmother took her to church and taught her about Jesus. 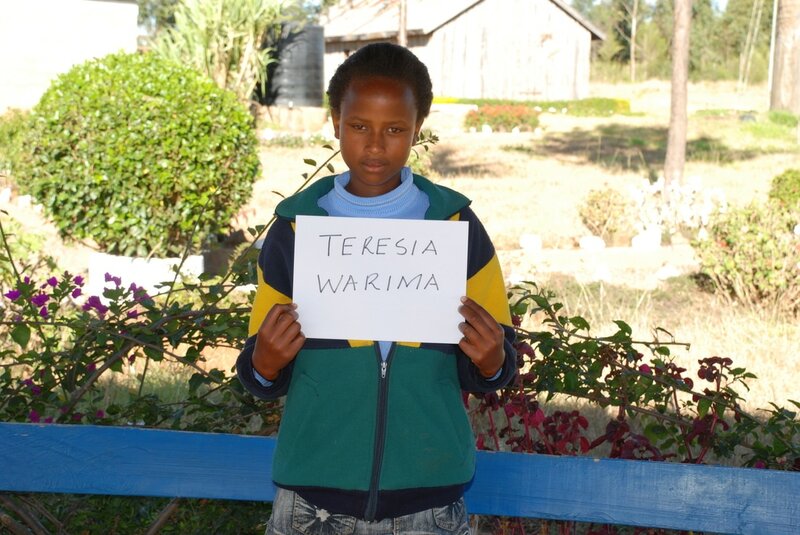 Teresia is in her second year at New Dawn and hopes to become a surgeon after she graduates. She is especially grateful for the step grandmother and family who support her. If you would like to help Teresia, please provide us with your name and email and hit "SUBMIT" before clicking the "Continue" button below. You will then be asked for your payment information. On behalf of Teresia Wambui Warima, THANK YOU!